In response to the drought and famine in the Horn of Africa, the U.S. Agency for International Development (USAID), is joining the Ad Council to launch a national public awareness campaign featuring Uma Thurman and Geena Davis. The campaign encourages Americans to spread awareness of the crisis, support the humanitarian organizations conducting the relief operations, and learn more about the solutions through President Obama's Feed the Future initiative. The campaign is titled FWD, or famine, war and drought, which is an acronym for the three crises affecting the Horn. Across the eastern Horn of Africa, more than 13 million people–a number greater than the populations of Los Angeles and New York City combined–are now in need of emergency assistance to survive. The crisis is the most severe humanitarian emergency in the world today, and the worst that East Africa has seen in six decades. Crops have failed, livestock have died, and high prices in local markets prevent many people from buying what is needed to feed their families. Millions of people are affected in Ethiopia, Djibouti, Kenya, and in Somalia where tens of thousands of people have died as a result of the crisis. However, there is hope. Through the Feed the Future initiative, the United States Government is addressing the root causes of chronic hunger by helping foster better farming, stronger markets, and greater resilience to climate shocks. Despite the magnitude of the crisis, according to a national survey released today by the Ad Council, conducted online by Harris Interactive among 2,226 U.S. adults aged 18 and older in September 2011, over half (52 percent) of the general public say that they have not seen, heard, or read anything about the drought and famine occurring in the Horn of Africa. The Ad Council and volunteer advertising agency R/GA have developed the multimedia campaign, which encourages all Americans to donate to the relief efforts and also spread the word or “FWD” the critical message to their friends to encourage their support. The campaign directs audiences to text GIVE to 777444 to donate $10 to a consortium of humanitarian organizations working in the Horn of Africa, comprised of American Refugee Committee, CARE, Catholic Relief Services, Mercy Corps, Save the Children, UNICEF USA, World Vision and World Food Program USA. Audiences are also directed to visit www.usaid.gov/FWD to find more information about the crisis and a listing of U.S.-funded humanitarian organizations working in the Horn of Africa that are accepting donations to aid in disaster relief. The television and web ads feature Dr. Jill Biden and actors Uma Thurman, Josh Hartnett, Geena Davis and Chanel Iman. The campaign will also be engaging high-profile athletes such as Lance Armstrong and writer and television host Anthony Bourdain. In addition to the traditional ads, the campaign includes an extensive social media program via USAID’s Facebook and Twitter channels, as well as blogs and other sites. 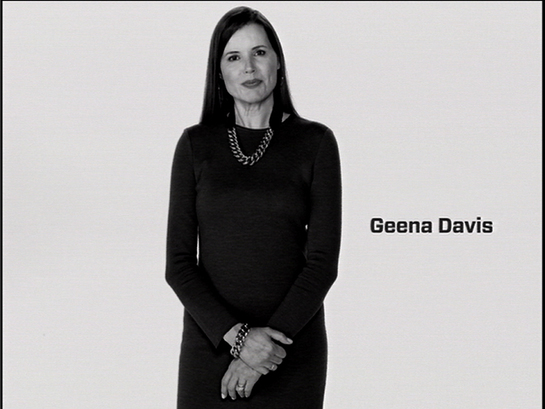 Watch Geena Davis’ PSA here, and for Uma Thurman’s PSA, click here.